ACC Academic Honor Roll (2018). Finished tied for 25th at the OFCC/Fighting Illini Invitational in the fall 2018 (7-over 217). Shot an even-par 216 at the Golf Club of Georgia Collegiate Invitational (tied for 21st). 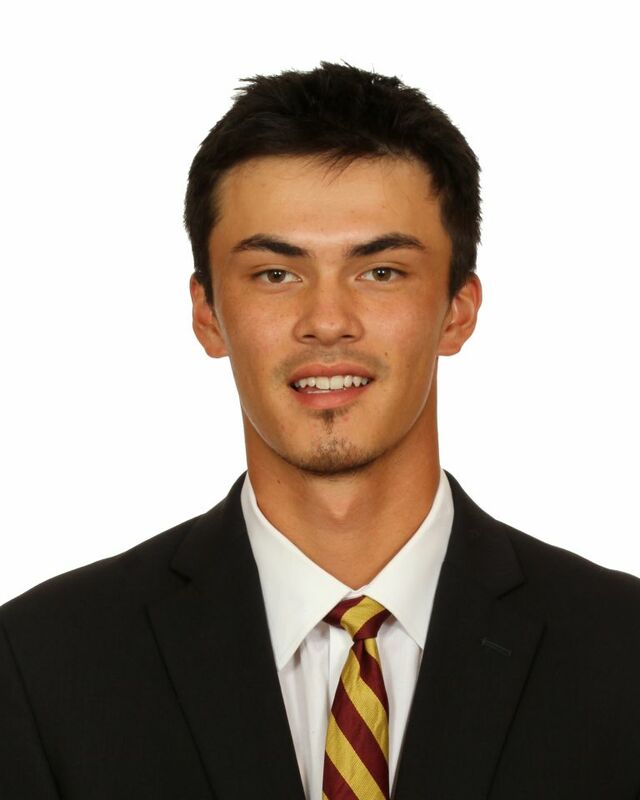 Developed greatly as a sophomore, finishing third on FSU with a 72.07 scoring average. Earned three Top 10 finishes, including co-winning the Mobile Sports Authority Intercollegiate on Feb. 13, 2018. Totaled the lowest bogeys per round on the team at 2.38. Second on FSU in par 5 scoring, averaging 4.75 on the longest holes. Produced the 10th lowest par 4 scoring average in a season in program history (4.0482). His scoring average is the 13th lowest in a season in program history. Finished under par in five events played, highlighted by his career low 11-under 205 when he co-won the Mobile Sports Authority Intercollegiate with teammate Harry Ellis. Tied for second at the Seminole Intercollegiate, shooting a 5-under 211 at Golden Eagle Country Club. Finished ninth at the Querencia Cabo Collegiate on March 6 (-1 212), his third consecutive Top 10 finish. Tied for 16th at the Marquette Intercollegiate and tied for 18th at the Gary Koch Invitational. Recorded seven rounds in the 60s after totaling one round in the 60s as a freshman. Had 15 rounds at par or less, more than half of his 29 rounds played. Carded a career-low 66 (-6) in the second round of the Seminole Intercollegiate. Participated in four tournaments, producing a 74.18 shooting average and +3 vs. par. Tied for 18th at the Southern Intercollegiate, shooting even-par (73-71) on March 13, 2017. Shot 1-over (71-69-77) at the Seminole Intercollegiate, tying for 34th. Lowest round of the year included a 3-under 69 in the second round of the Seminole Intercollegiate. Won the 2015 Daily Telegraph Junior Championship after shooting a 5-under 211. Showed resilience down the stretch of that tournament to win by one stroke. Also competed multiple times on the England U18 Team in both the European Championships and the International Tournament. Consistently shows excellent ball-striking abilities. Parents: Ray and Maria Li. How did you first start getting into golf? I started when my dad would hit balls in our garden. What would you say is your greatest golf moment so far? Being able to play the Pro-Am at Wentworth PGA. Who is your favorite professional golfer? Rory McIlroy because of his swing. My favorite club in my bag is: 46 degree wedge because I like hitting lots of different types of shots with it. I chose to play for Florida State Men’s Golf because: To represent a great school and program, and to play with great players every day. What is something many people don’t know about you? I have a strong interest in fashion. What is the best advice you have ever received? Stick to the process. What music are you currently listening to? Bladee. What shows are you currently watching? Sailor Moon. What’s your favorite movie? Zero Dark Thirty. Outside of golf, what are some of your passions in life? Watching and playing soccer. What is the single greatest lesson golf has taught you? Never give up on anything. What’s the hardest thing you’ve had to overcome in your life? Moving to the U.S. from England. What makes Florida State University a great place? The entire network of people. Round: 66 (Seminole Intercollegiate, Spring 2018). Tournament: 205 (Mobile Sports Authority Intercollegiate, Spring 2018). Best Finish: T1 (Mobile Sports Authority Intercollegiate, Spring 2018).